In a recorded telephone call with a prankster impersonating Armenia’s new prime minister, Commission President Jean-Claude Juncker described Russian President Vladimir Putin as his friend but said US President Donald Trump couldn’t understand what the world is about. Juncker and EU foreign affairs chief Federica Mogherini were duped by the same prankster who discussed international affairs with former UK Foreign Secretary Boris Johnson for 18 minutes, pretending to be Armenia’s new prime minister, Nikol Pashinyan. Britain’s Foreign Secretary Boris Johnson talked international relations and rude poetry with a hoax caller who pretended to be the Armenian prime minister in a new gaffe by one of Britain’s most prominent politicians. The telephone calls have been uploaded on YouTube and shared on the Twitter pages of Russian pranksters Vovan and Lexus. The authenticity of the tapes was not contested by either Juncker’s or Mogherini’s office. 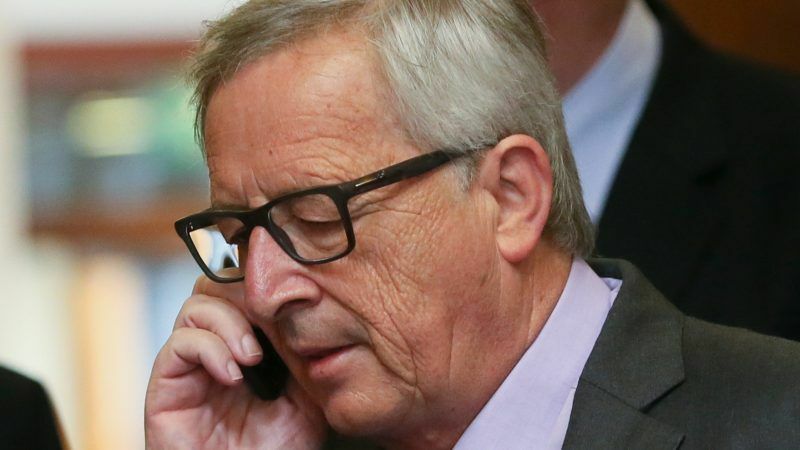 The two separate calls with Juncker and Mogherini took place in May. Juncker says in the recording that this happened on Europe Day, 9 May. Asked about visa liberalisation with Armenia, Juncker said that France was “very reluctant to open visa liberalisation negotiations”, and so were the Dutch. The prankster then asked advice on how to deal with Russia. “We are not asking you to break your relations with Russia. It’s important, and you will have a meeting with Vladimir Putin on 14 May or something. That’s good. He’s a personal friend of mine so I can talk to him whenever it’s needed,” Juncker said. 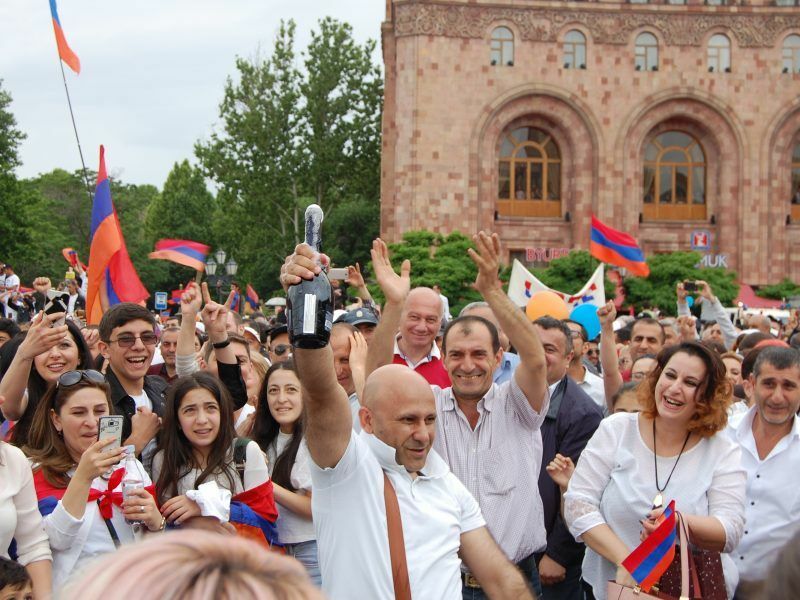 The prankster said Armenia was also under pressure from the US. “You have to explain again and again the world to Mr Trump, he doesn’t understand what it is about, and make sure he has a better understanding of what is happening in Armenia,” Juncker said. It is likely that by the end of the conversation Juncker realised he was being duped, when the prankster invited him for a “peaceful shahshlik” (a dish of skewered and grilled cubes of meat) in the central square of Yerevan, and when he said he would send him a bottle of Armenian wine, at the advice of Ukrainian President Petro Poroshenko. “Yeah, that’s good”, Juncker said but it appears that he had serious doubts about the identity of his interlocutor. To Mogherini, the prankster said he wanted to start meetings over the disputed region of Nagorno-Karabakh with the authorities of Azerbaijan soon, and asked for EU support. “Absolutely, if you manage to move with some positive steps on that, for us it will be crucial, because obviously having an open issue like that between two of our strategic partners, like Armenia and Azerbaijan, that are both important for us, it’s something that obviously is painful”, said Mogherini. The EU foreign affairs chief thanked the supposed PM for what she thought was his readiness to have a meeting with representatives of Azerbaijan. In fact, no such substantial meetings have taken place since Pashinyan took over, although both he and President of Azerbaijan Ilham Aliyev attended the recent NATO summit in Brussels, as well as the FIFA World Cup opening ceremony in Moscow. Mogherini said the EU’s approach is to avoid creating “the narrative of geopolitical conflict or confrontation”. “We don’t like the idea of any spheres of influence. We believe you can be a good partner for the EU and a good partner for Russia at the same way. We avoid putting pressure for our side, and obviously we would like to see that pressure is not put on the other side”, Mogherini said. Until the end of the conversation, nothing suggested that Mogherini realised she was being framed by a prankster.